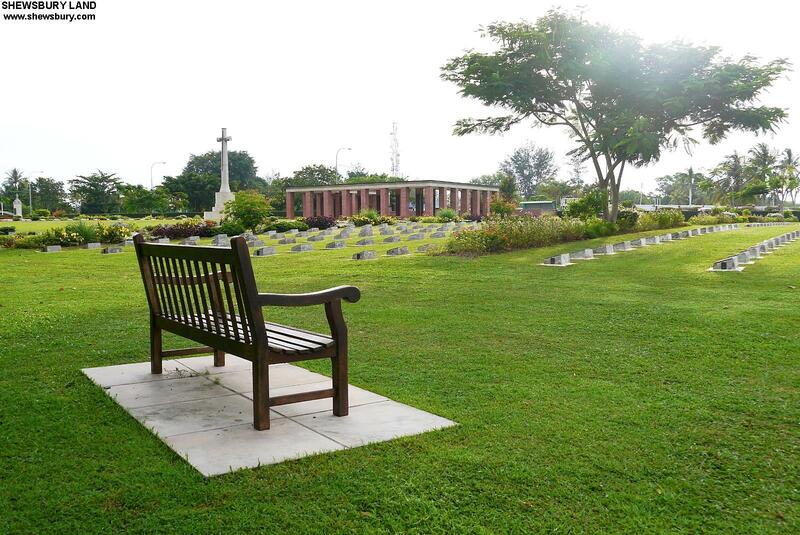 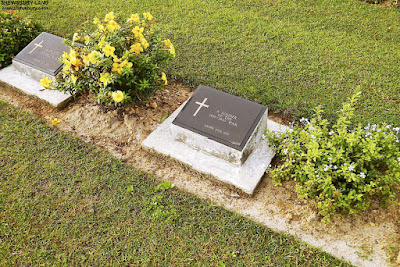 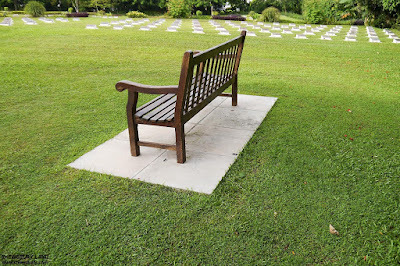 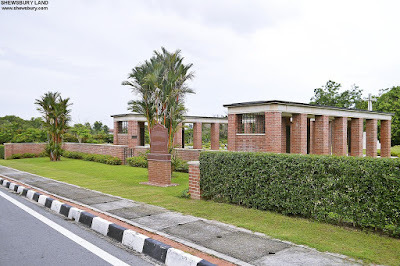 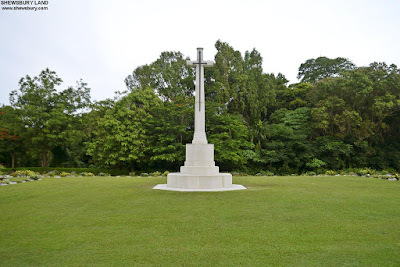 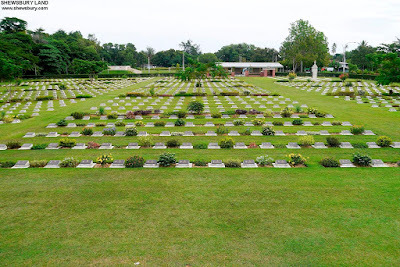 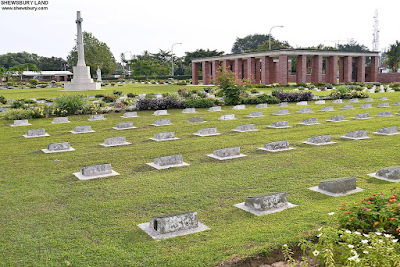 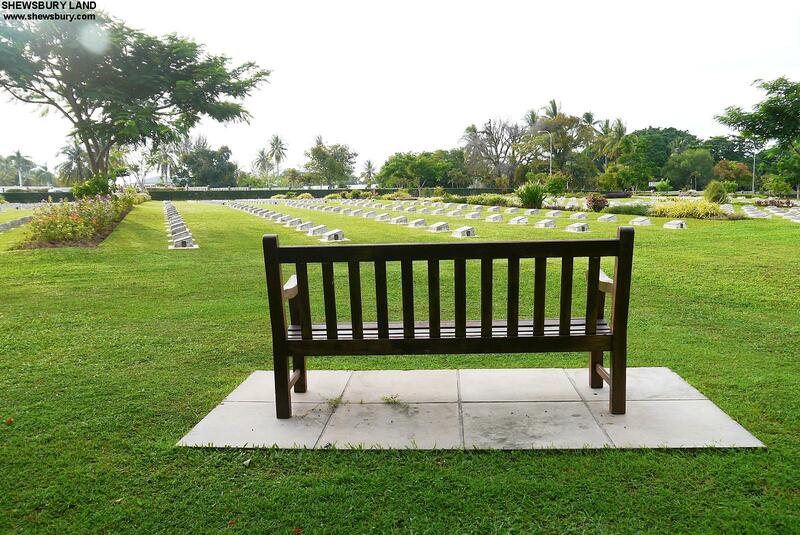 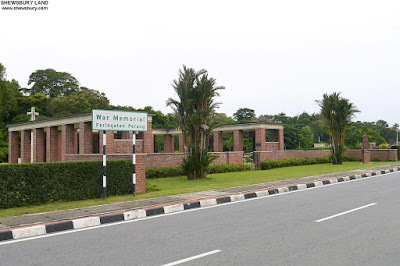 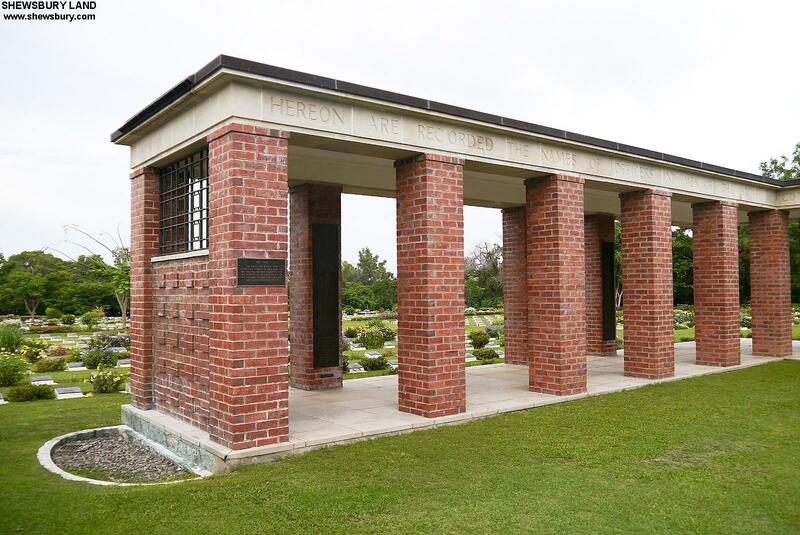 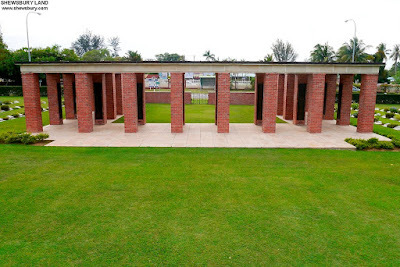 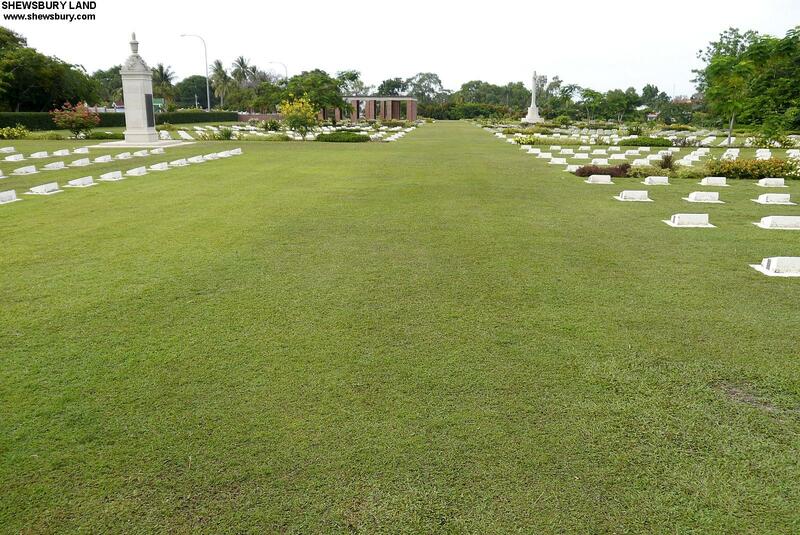 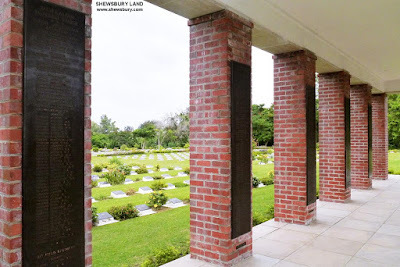 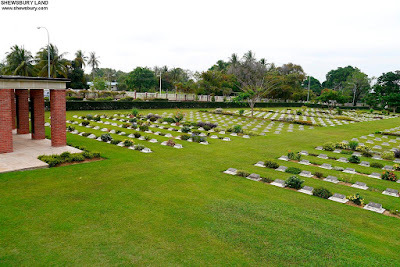 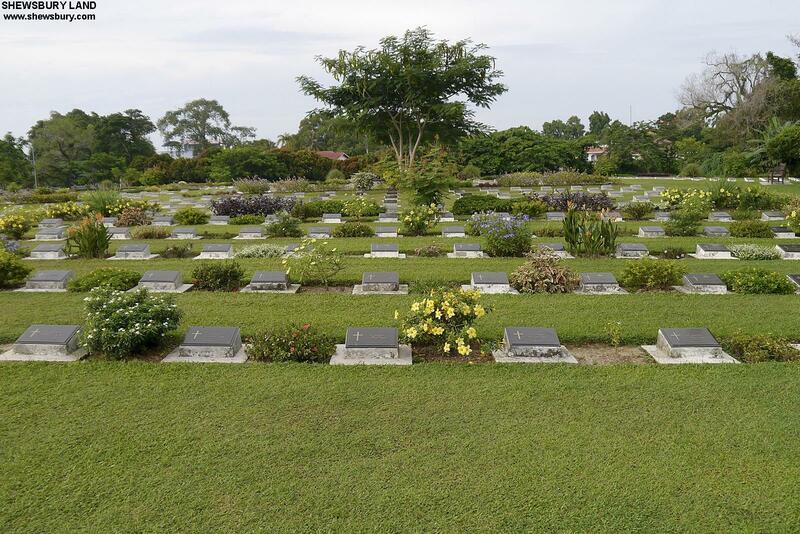 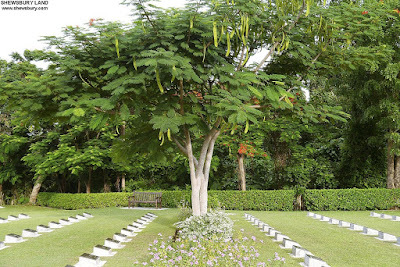 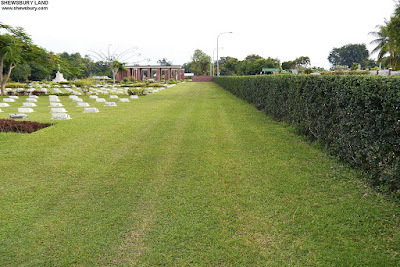 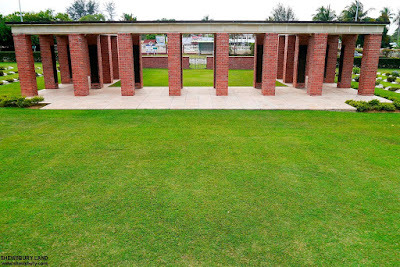 Labuan War Cemetery is a Commonwealth World War II graveyard in Labuan (Victoria), Malaysia and is one of the most popular tourist attraction in the island. 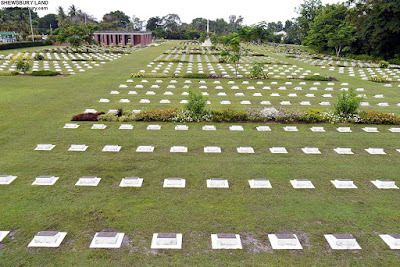 Many of the personnel buried in this cemetery, including locals, Australian and Indian troops, were killed during the Japanese invasion of Borneo within 1945. Others were prisoners of war in the region, including a number of those who perished on the infamous Sandakan Death Marches. 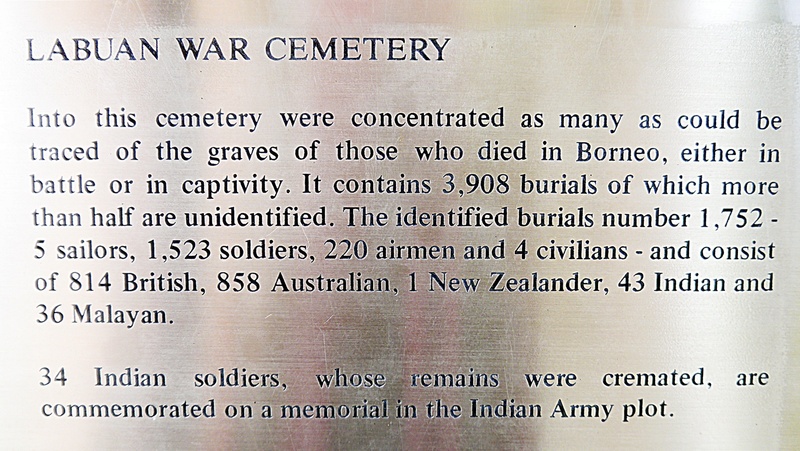 This graveyard was erected by Commonwealth War Graves Commission. 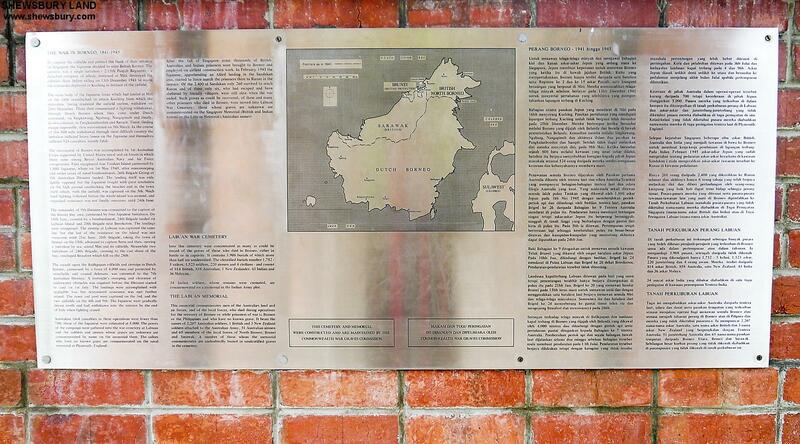 The location coordinate is = 5.2870°N 115.2619°E. 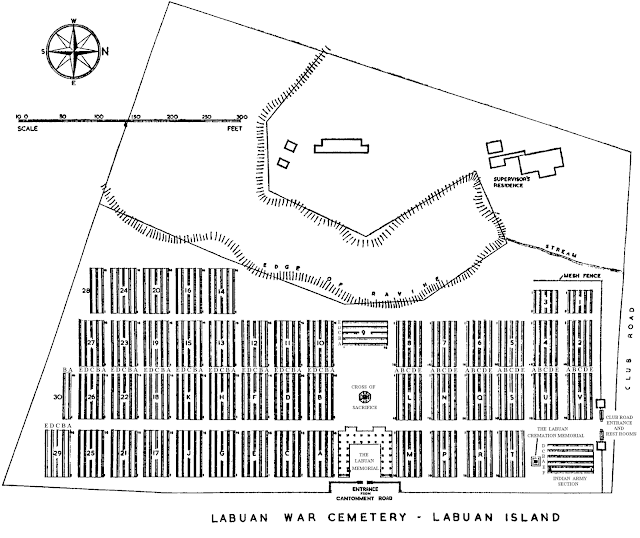 Labuan (part of Sabah, Malaysia) is a small island in Brunei Bay, off the coast of north-west Borneo. 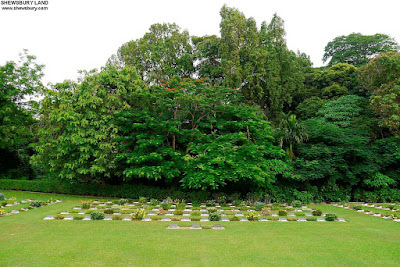 The island is best reached by air from Kuala Lumpur, the Malaysian capital, from where there are daily flights. 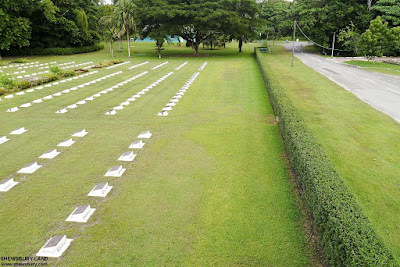 There are also flights from Singapore and Manila. 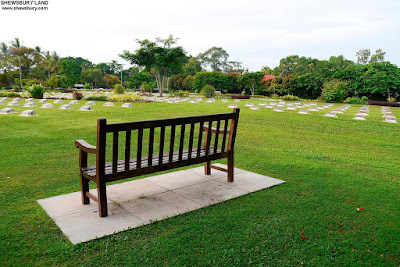 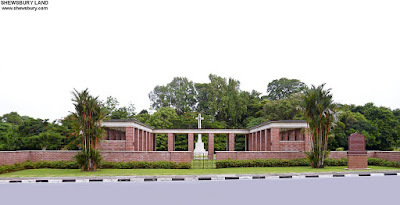 The cemetery lies on the Jalan Tanjong Batu road which leads from the airport to the town. It is less than a kilometre from the airport and about 3 kilometres from the Island's town; Victoria. 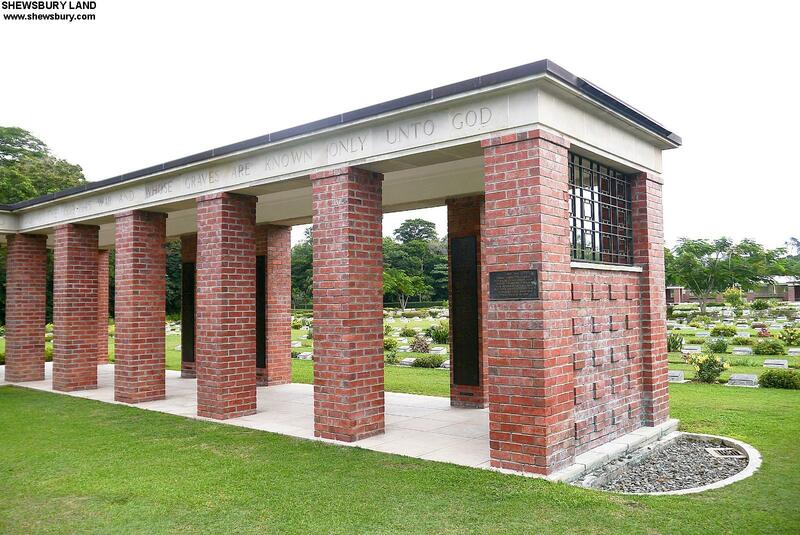 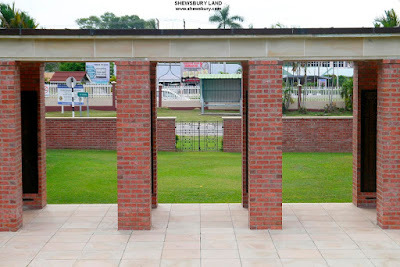 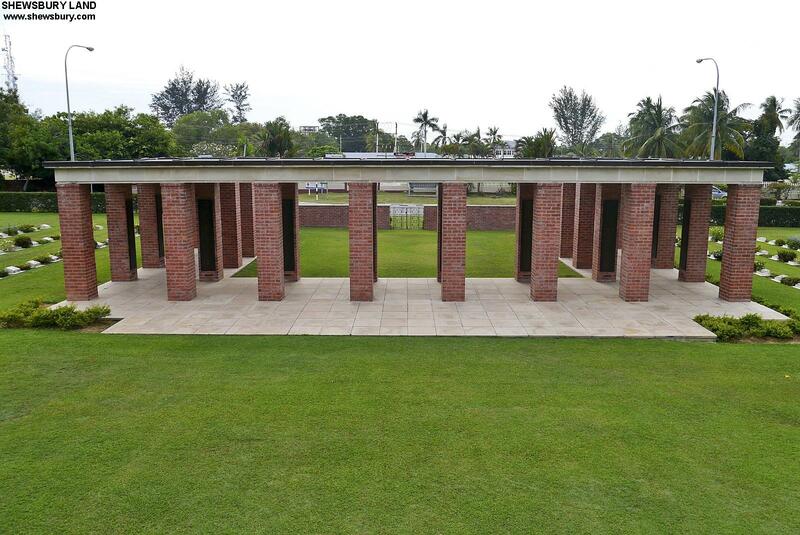 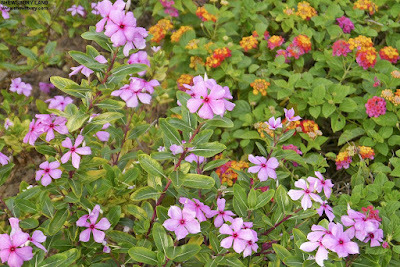 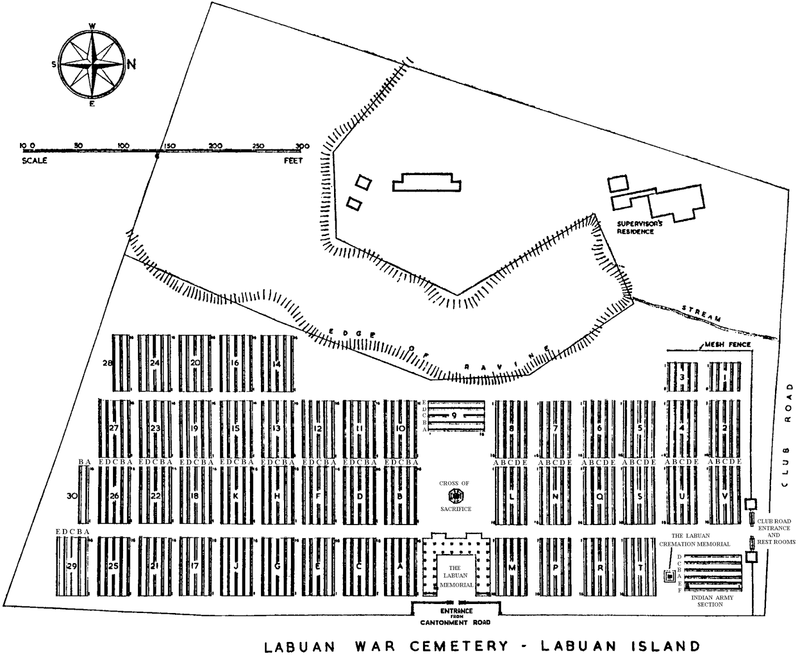 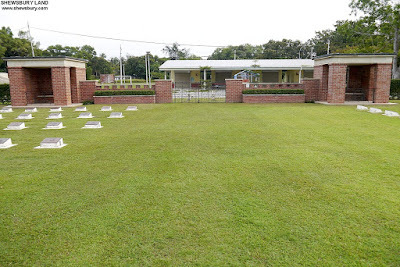 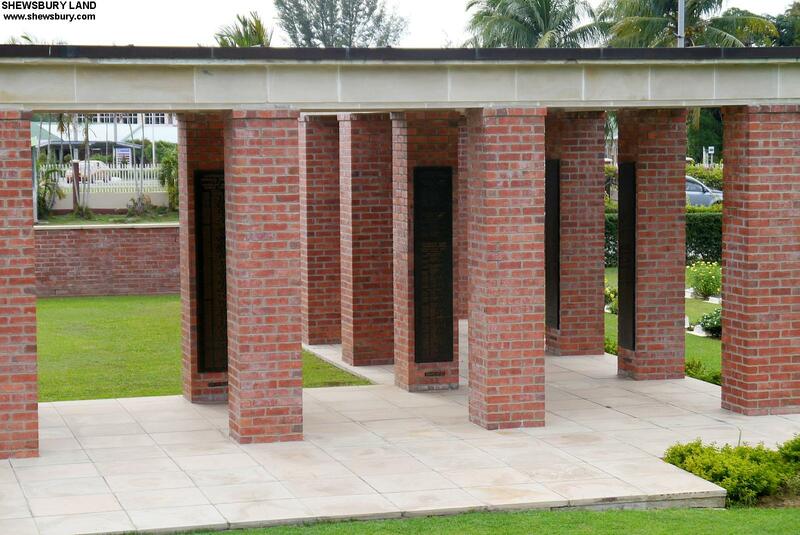 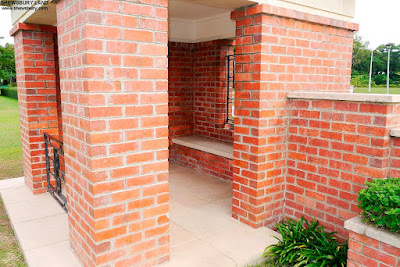 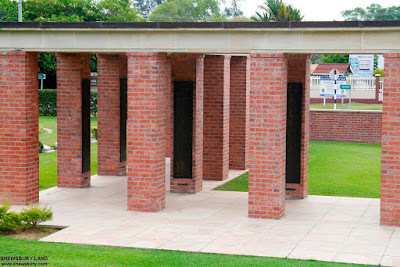 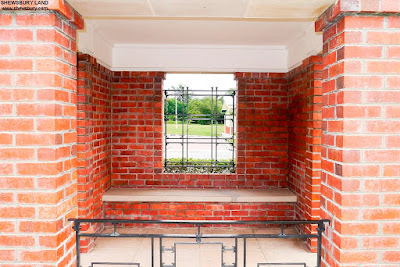 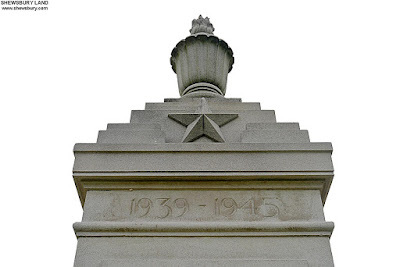 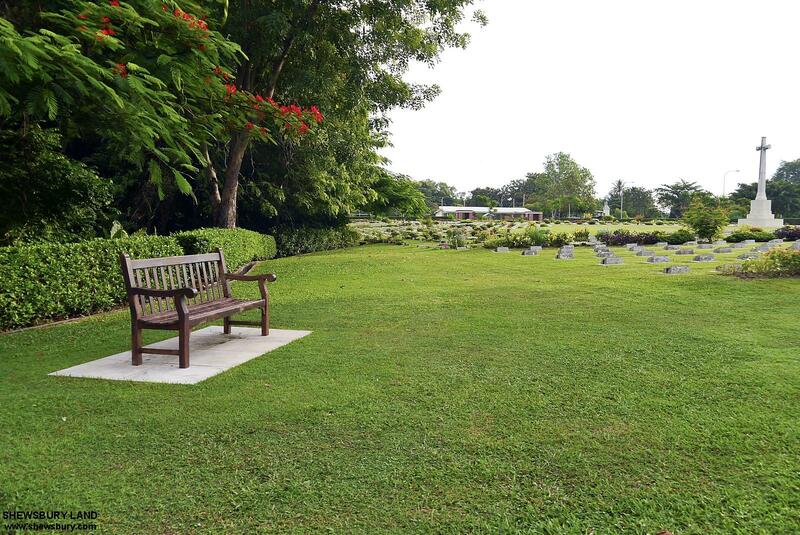 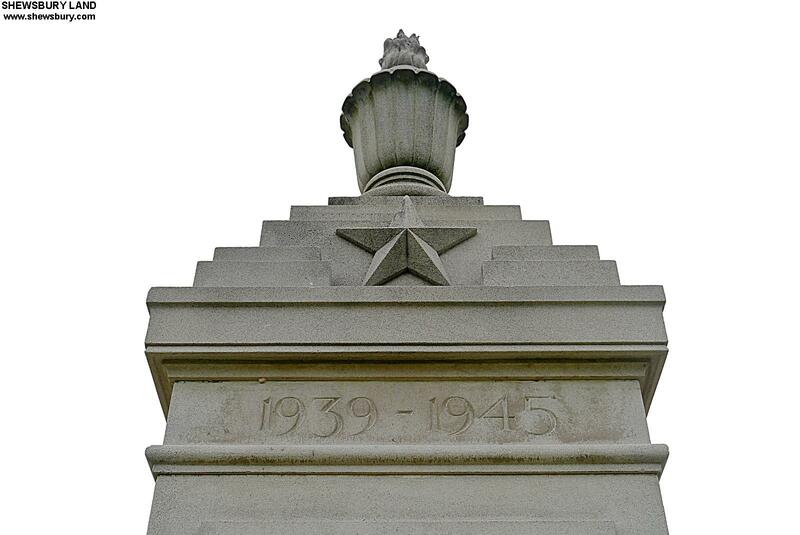 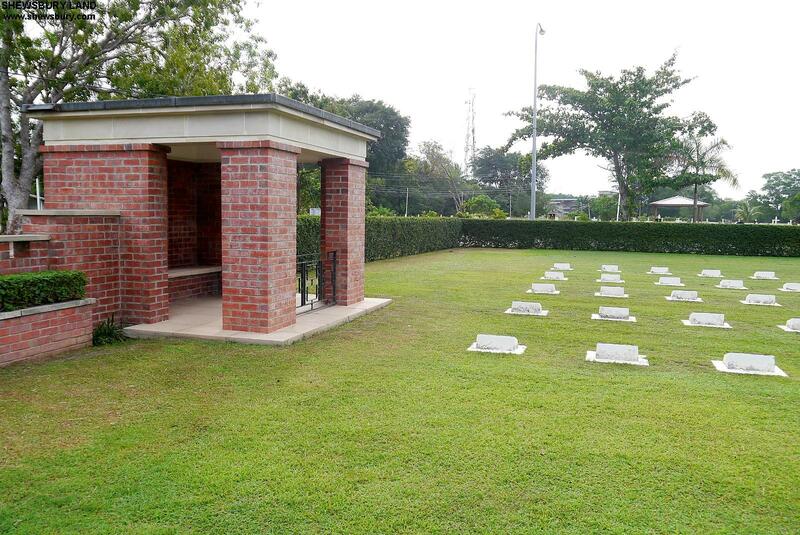 Within the Cemetery will be found the Labuan Memorial and the Labuan Cremation Memorial. 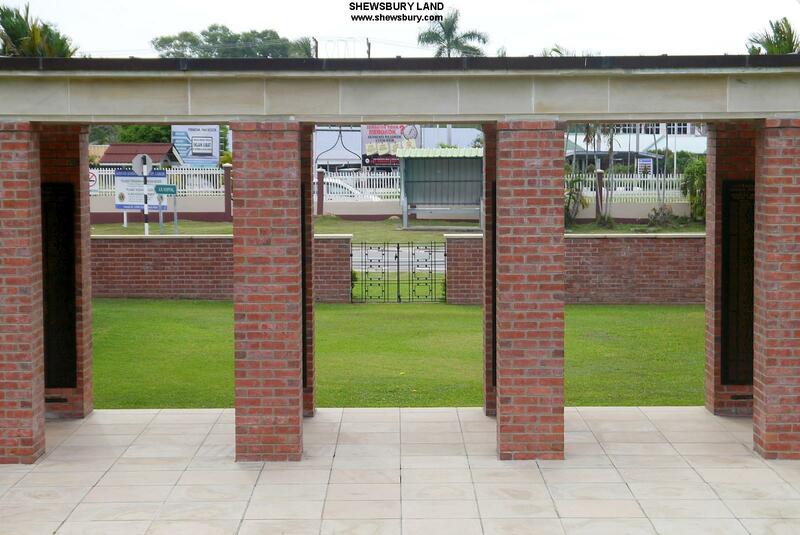 Staff are on site Monday to Friday from 07:00 to 16:30. Due to occasional incidences of theft and vandalism, the visitors book and cemetery register are kept in the register box during working hours only. 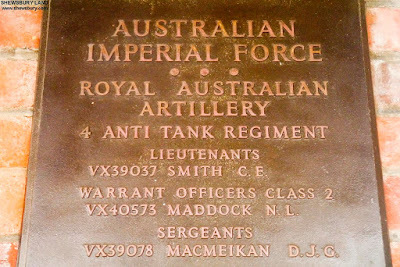 A sign inside the register box gives details for contacting the Commission outside of working hours. 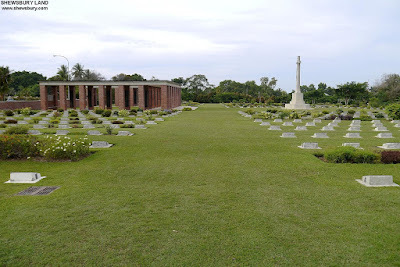 Should you have any local queries, the Manager, Mr Gobhu Gopal (gobhu.gopal@cwgc.org) or Head Gardener, Mr Esau Kak (esau.kak@cwgc.org) may be contacted by e-mail. 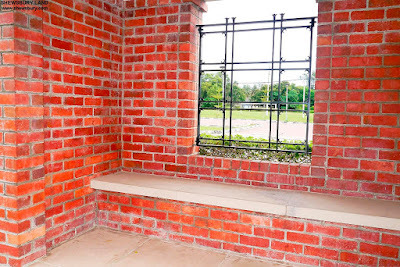 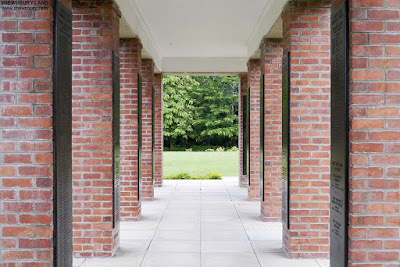 Wheelchair access is possible through either the side or main entrance gates. 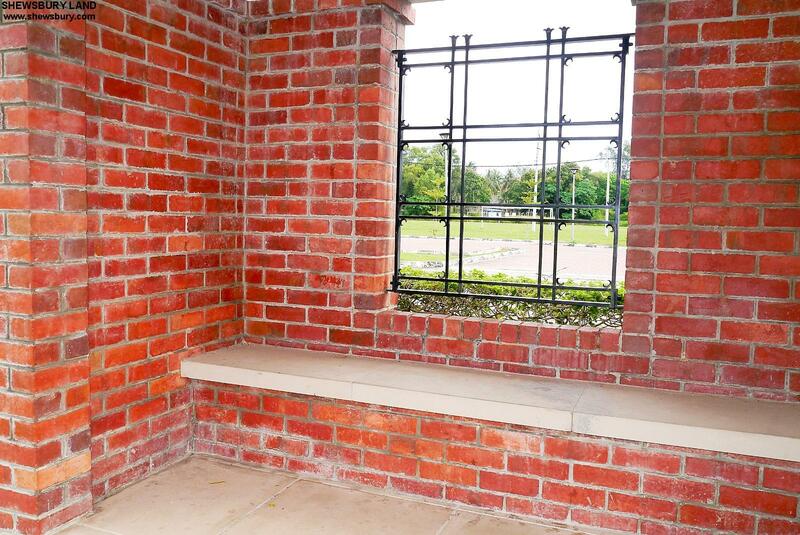 For further information regarding wheelchair access, please contact our Enquiries Section on telephone number 016-285 07 200. 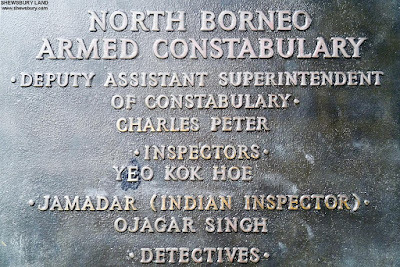 From 1880 until over-run by the Japanese in 1942, the State of North Borneo was governed by the British North Borneo Chartered Company, the last chartered company to administer any part of the British Empire. It did not become a British Crown Colony until 26th June 1946, when the Chartered company transferred the sovereign rights and assets to the Crown. 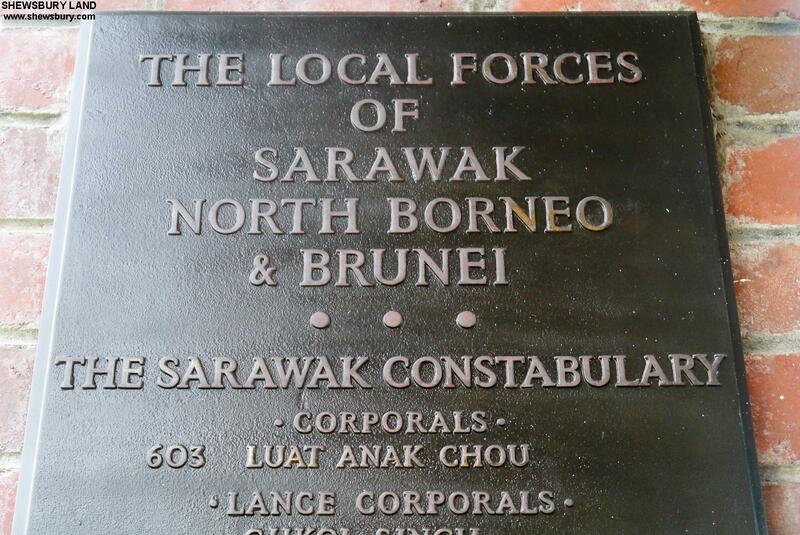 In July 1946, Sarawak was ceded to Britain, and thus was formed the new Crown Colony of Sarawak. 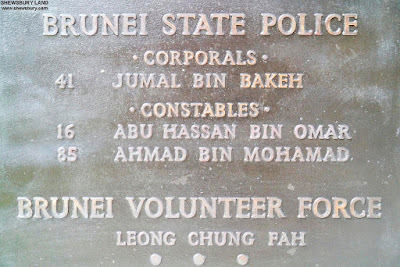 Brunei was, until 1984, a British Protected State (it is now an independent Sultanate). 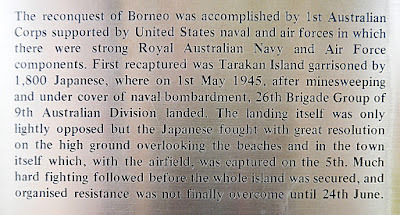 Strategically important after Singapore as the key to the area between Malaya and Australia, and a springboard for any large scale operations on Malaya and Java, Borneo came within the Malaya command, and North Borneo was the first of the British possessions in the Pacific to fall to the Japanese. 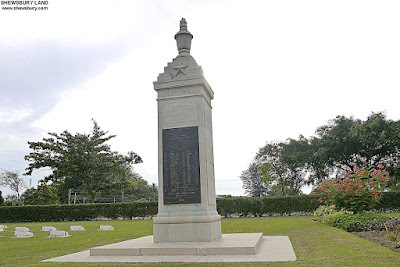 Through lack of resources only token forces could be stationed there, and they could be expected to do little more than gain sufficient time for the demolition of the oilfield installations. 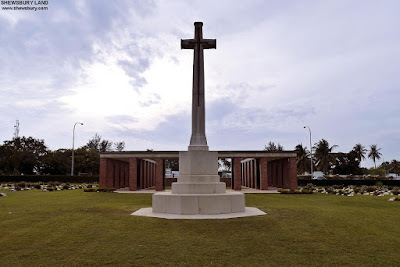 In December 1941 the Garrison consisted of the 2/15th Punjab Regiment; they were stationed at Kuching in Sarawak, where there was an airfield, and at Miri, some 400 miles as the crow flies to the north-east. 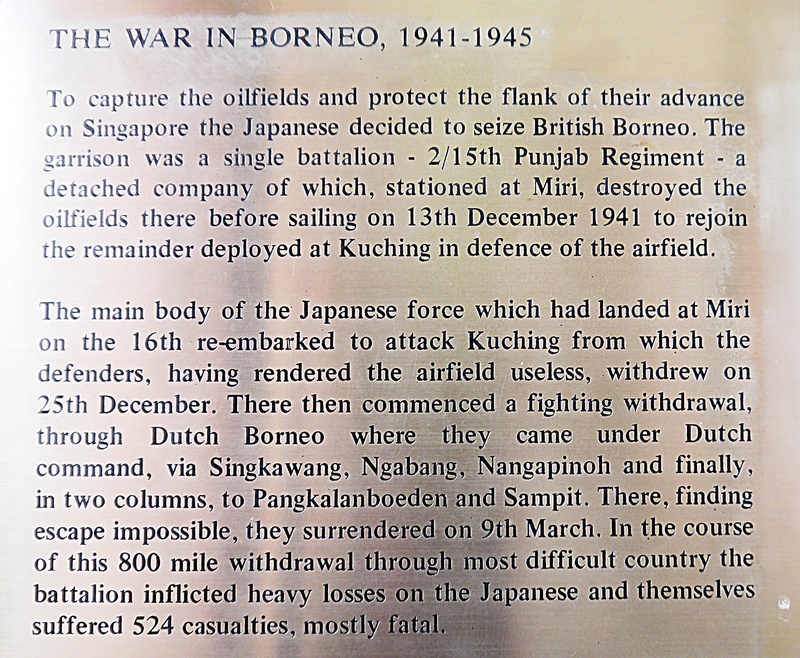 At Miri and at Seria, in near by Brunei, were the oilfields; and on the 8th December 1941 orders were given for their demolition. 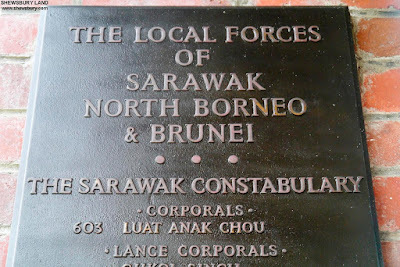 This the local garrison carried out successfully, the troops, oil company officials and a detachment of Straits Settlements Police were evacuated by sea on the 13th. 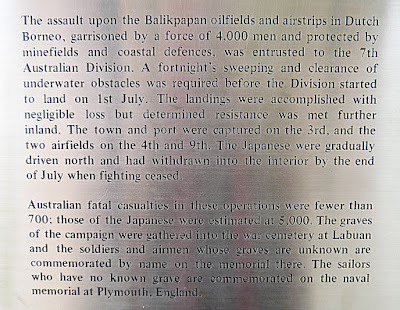 On the 16th, Japanese troops landed at Seria. 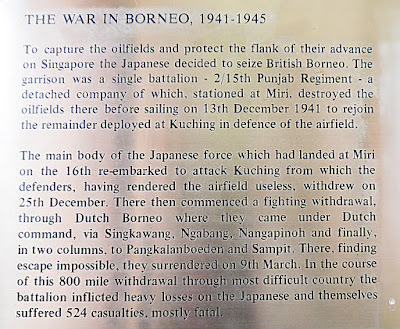 On December 23rd orders were received for the demolition of the landing ground at Kuching which, as well as the town, had suffered several air attacks during the few days before that date. 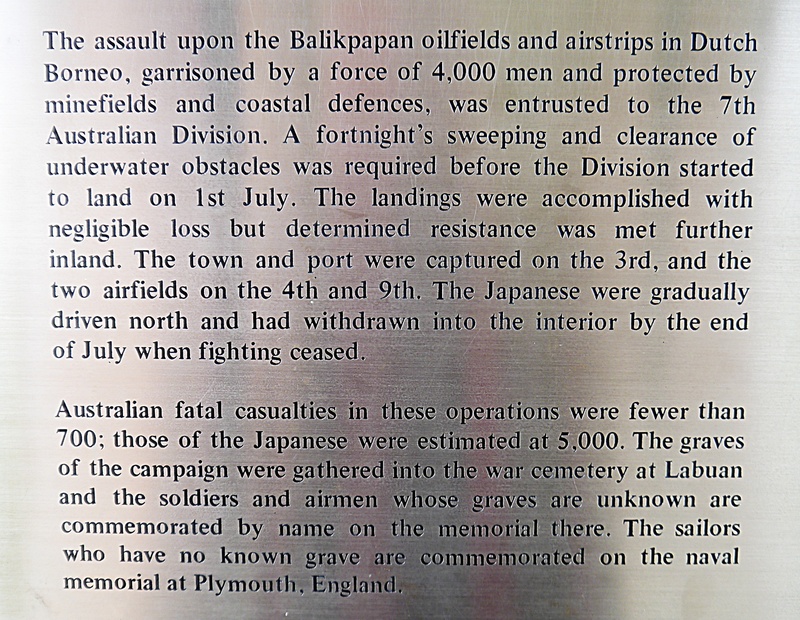 On December 24th Japanese landing-craft made their way up the waterways between the sea and Kuching, and by the afternoon of that day the Japanese flag was flying over the residence of the Rajah of Sarawak. The following morning the British Commander, Lt. Col. Lane, decided to withdraw westwards into Dutch West Borneo, and then south. 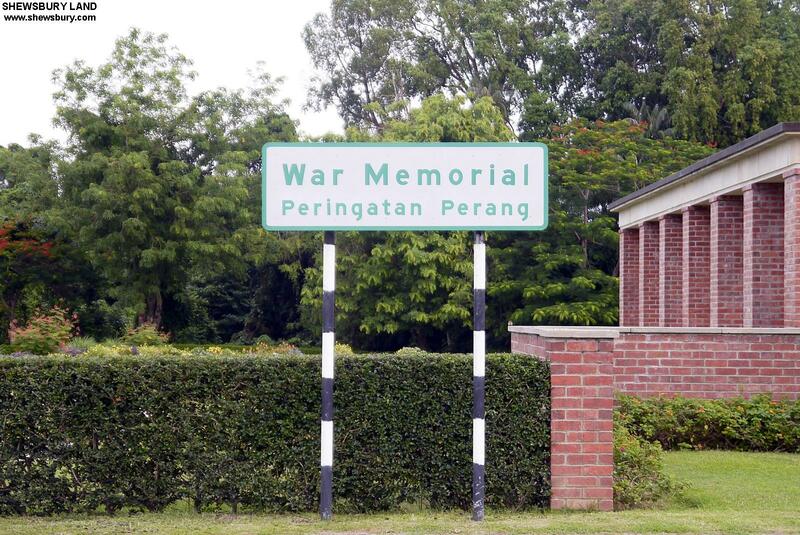 On reaching Sanggau on December 29th the battalion came under the orders of the local Dutch commander. 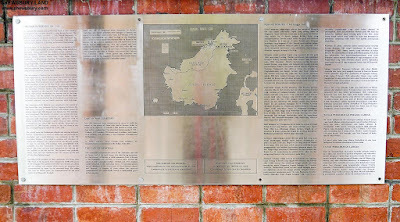 There it fought alongside the Dutch to prevent the Japanese from taking the airfield at Sanggau, the principal Anglo-Dutch base in West Borneo. 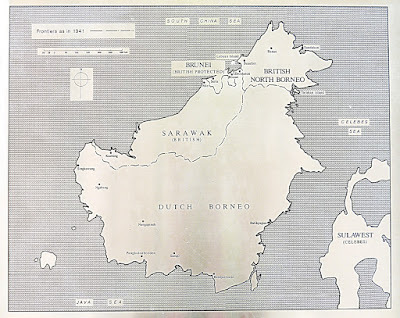 In Dutch Borneo, Tarakan, an important oil centre in the north-east, was taken on the 10th January 1942; and Balikpapan, farther south, with its huge modern refineries and groups of oil tanks was lost at the end of the month. 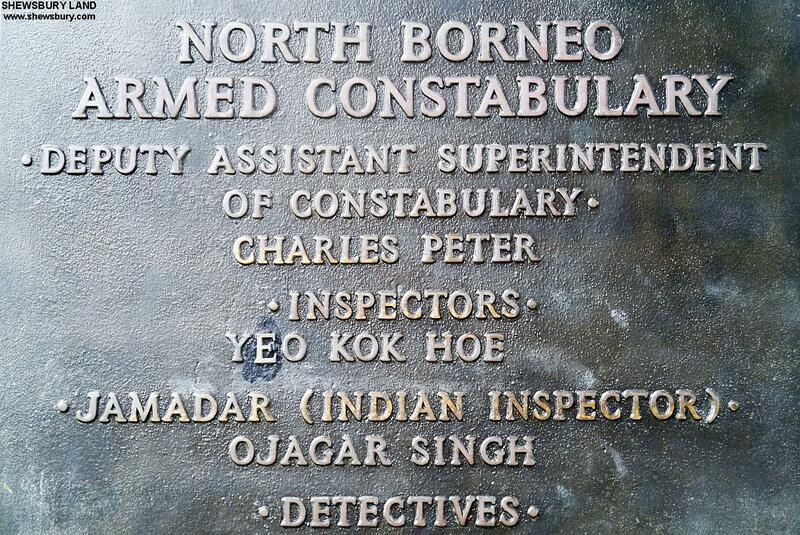 Finally, through February and March, after fighting a rearguard action, the Punjabis made their way through wild and difficult country to the south coast of Borneo. This they reached, exhausted, towards the end of March, having covered a total distance of some 800 miles since leaving Kuching. 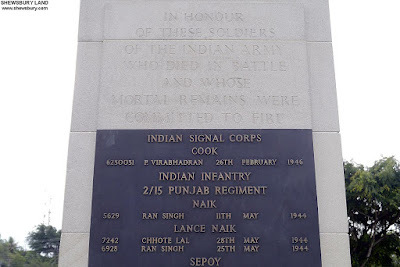 The Dutch, by then, had been forced to surrender, and on the 3rd April the 2/15th Punjab Regiment became Prisoners of War. 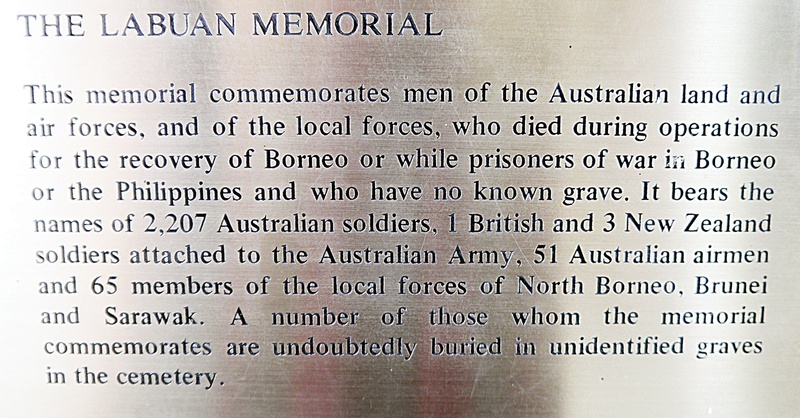 In 1945 Borneo was freed from the Japanese by Australian forces. The Commander of the 9th Division, Australian Imperial Force, received the unconditional surrender of the 32nd Japanese Southern Army in North Borneo and Sarawak on a spot in the north of Labuan island, which is now marked by a plaque recording the fact. 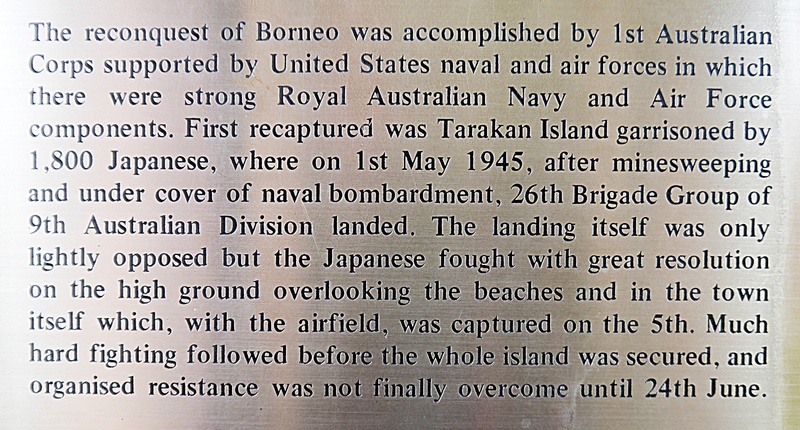 The recovery of Borneo virtually completed the tactical control of the South pacific. 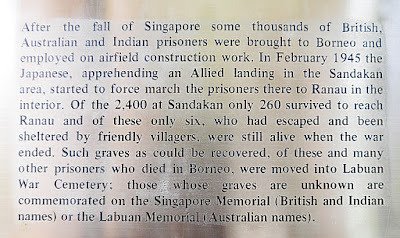 After the fall of Singapore several thousand British and Australian Prisoners of War were sent to camps in Borneo, mainly in the Sandakan area on the eastern coast of North Borneo, where they were employed on aerodrome construction. 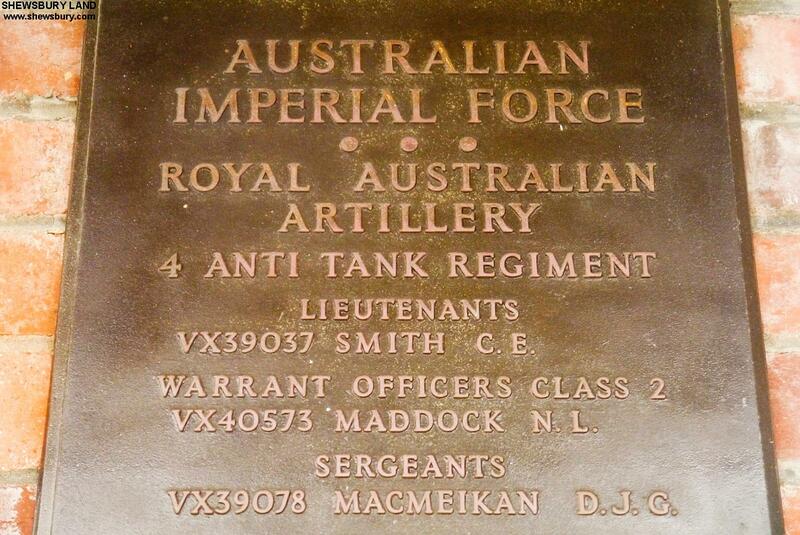 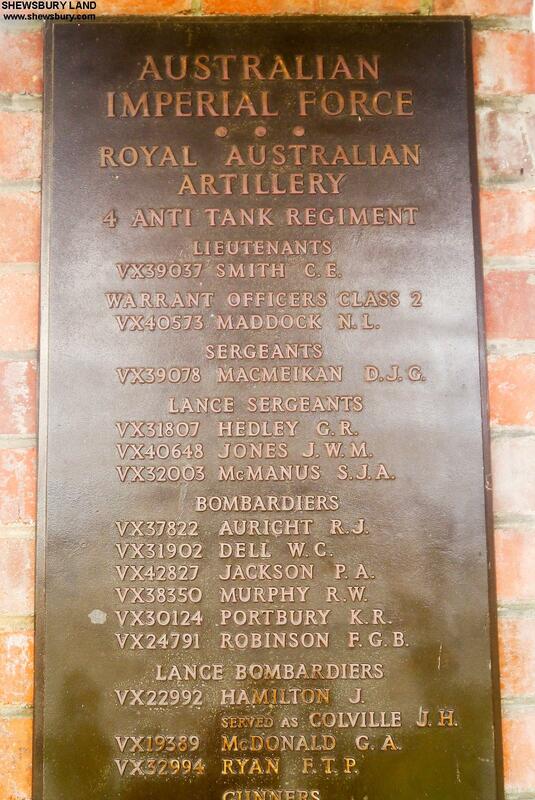 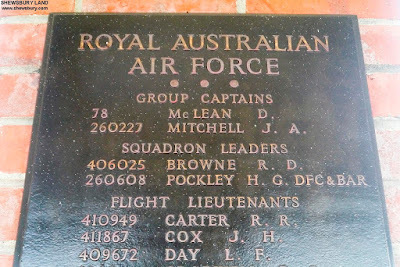 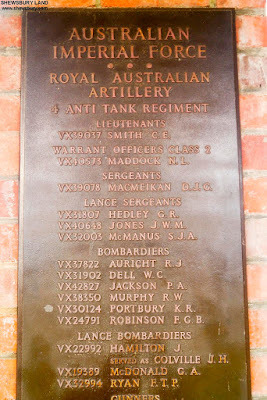 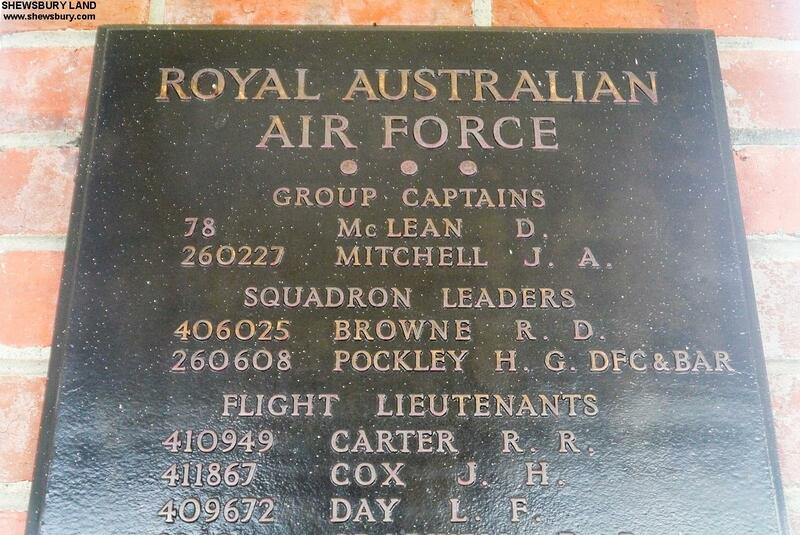 The Australians belonged to the 8th Australian Division (“B” force numbering 1,494 and “E” force 500). In October 1943 most of the officers were separated from their men and sent to Kuching. 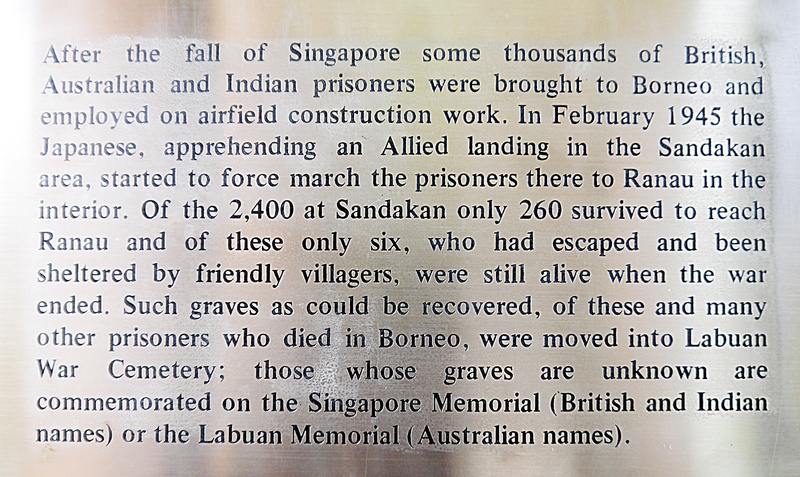 Thereafter conditions at Sandakan greatly worsened; the men were starved, beaten and overworked by their captors. 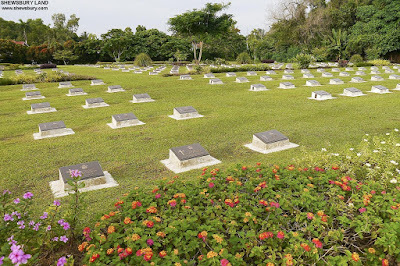 In February 1945 the Japanese, anticipating Allied landings in North Borneo, decided to move the Prisoners of War westwards to Ranau, more than 160 miles inland from Sandakan. 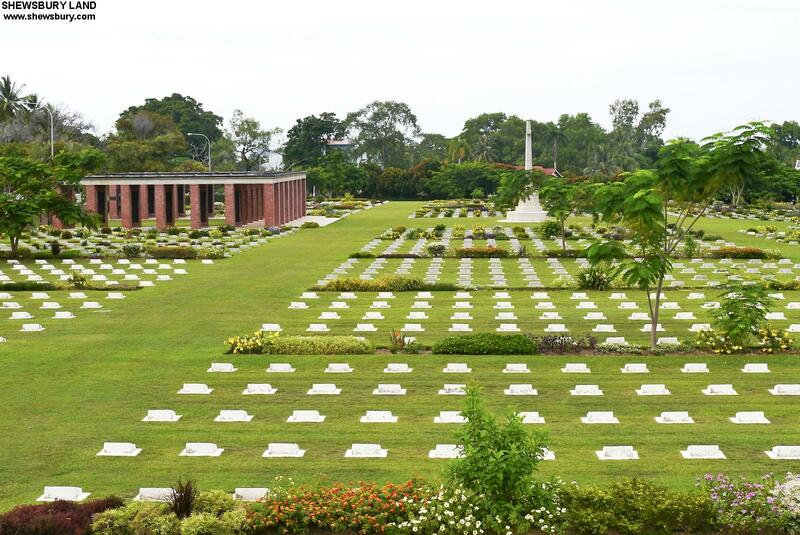 Although many had already been transferred to other centres, more than 1,900 British and Australian servicemen remained to take part in the “Death march to Ranau”. Those who fell, sick or exhausted, on the journey were killed; the survivors who reached Ranau were made to perform superhuman work on starvation rations. 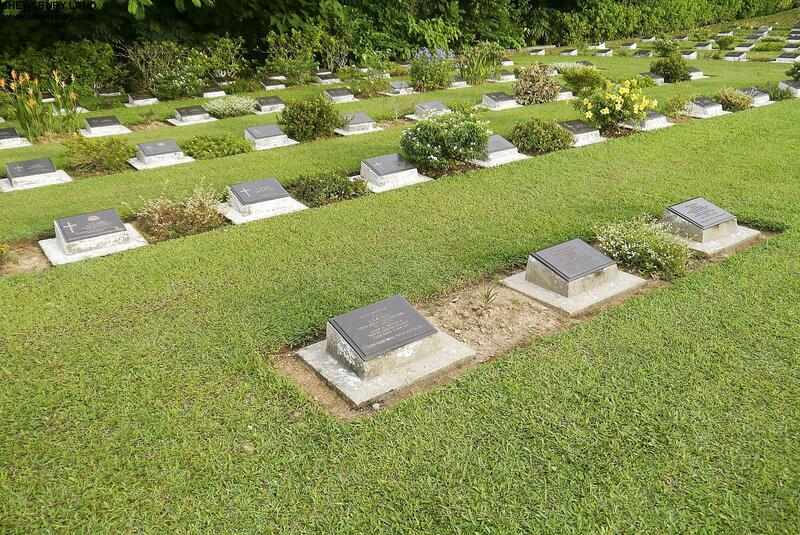 Out of the 2,000 men who left Sandakan only 260 arrived at Ranau, and most of these succumbed later. Only six survived the end of the war. 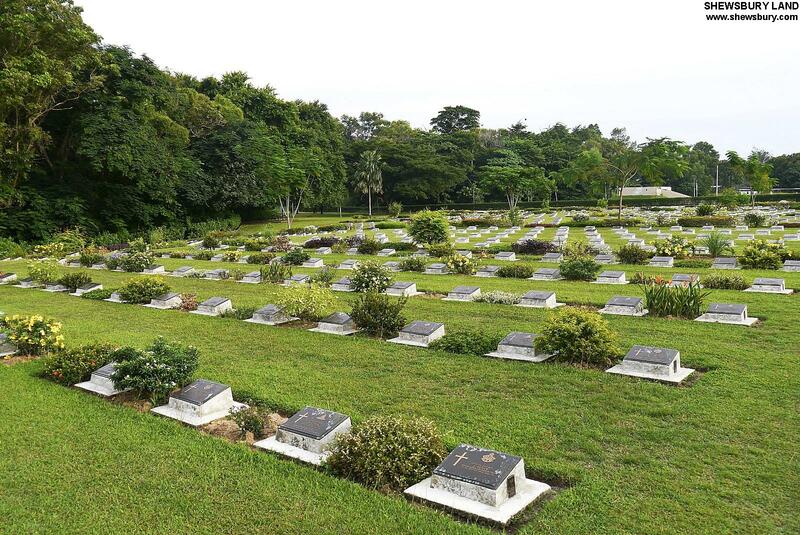 These six escaped from Ranau and were living with the natives when rescued. When the Australian Army Graves Service entered Borneo they followed the route from Sandakan to Ranau, and found many unidentifiable victims of this infamous march. 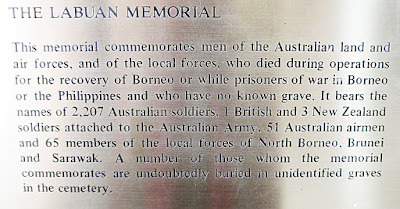 These and other casualties from Battlefield Burial Grounds and from scattered graves throughout Borneo were taken in the first instance to Sandakan, where a large number of prisoners of war were already buried. This flat coastal area, however, was subject to severe flooding and it proved impracticable to construct and maintain a permanent cemetery. 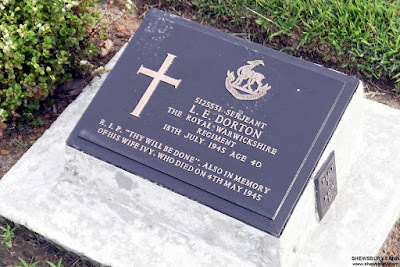 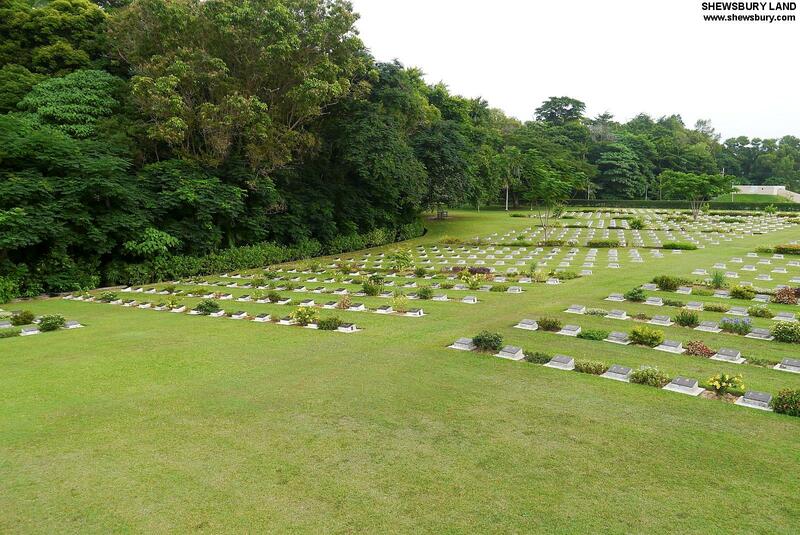 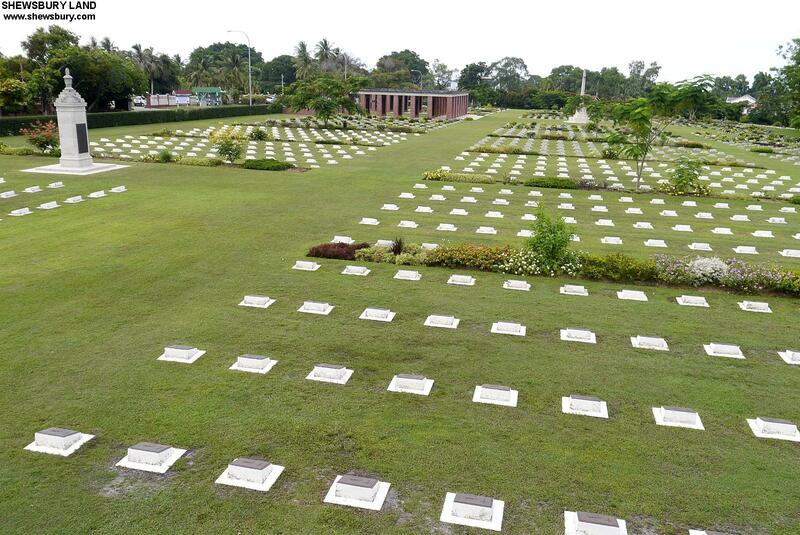 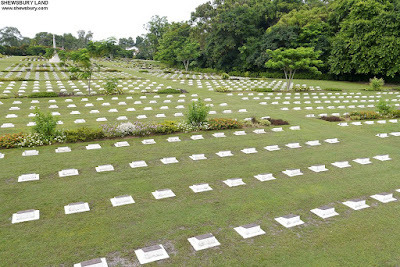 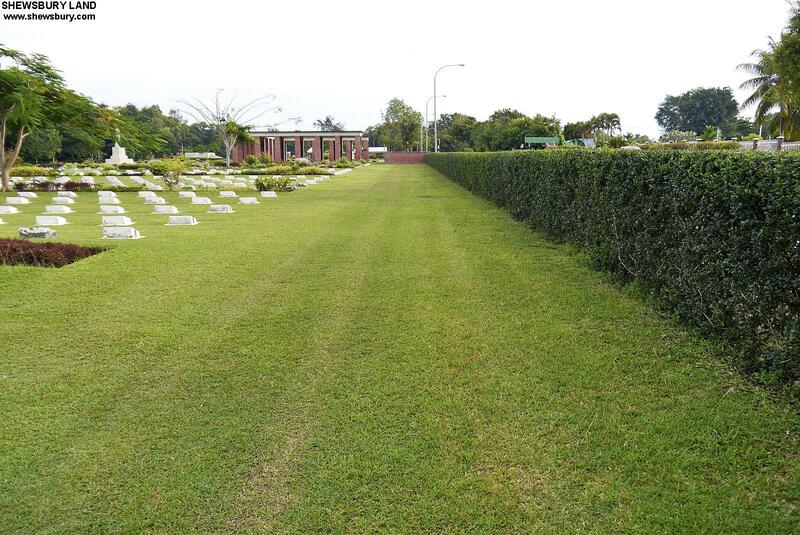 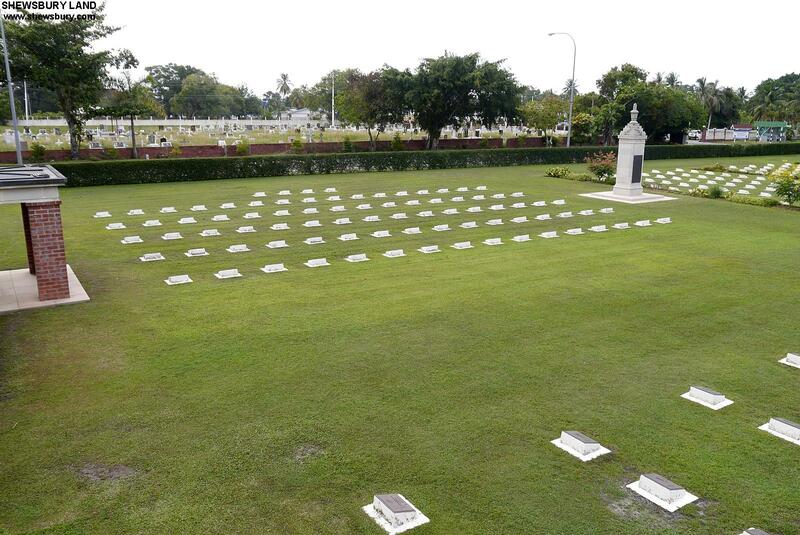 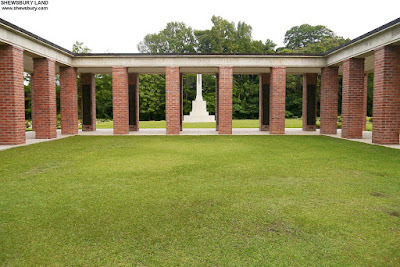 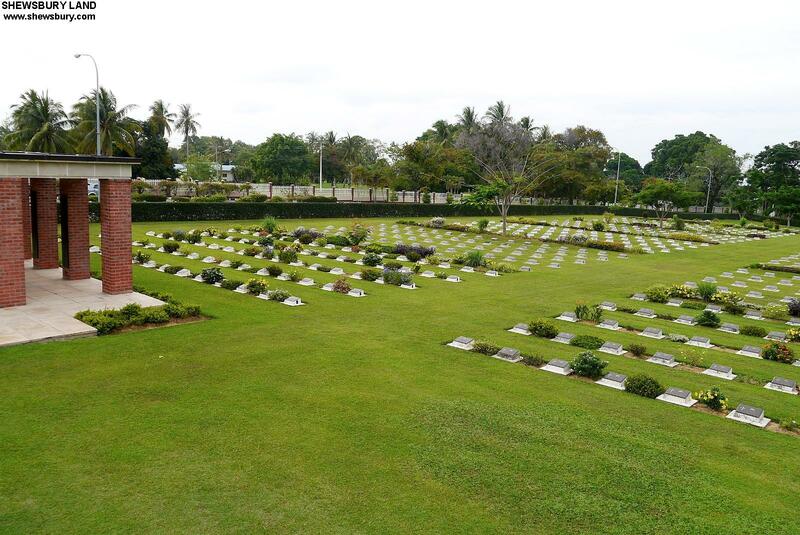 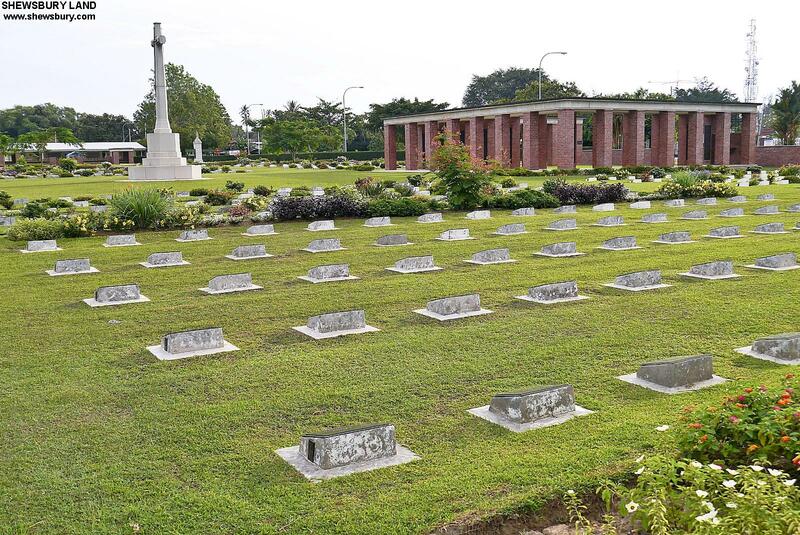 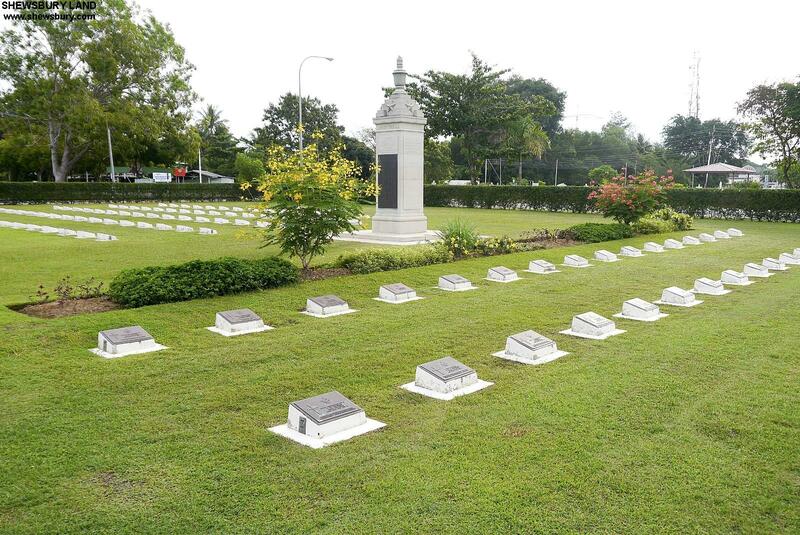 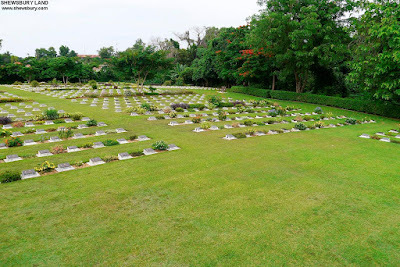 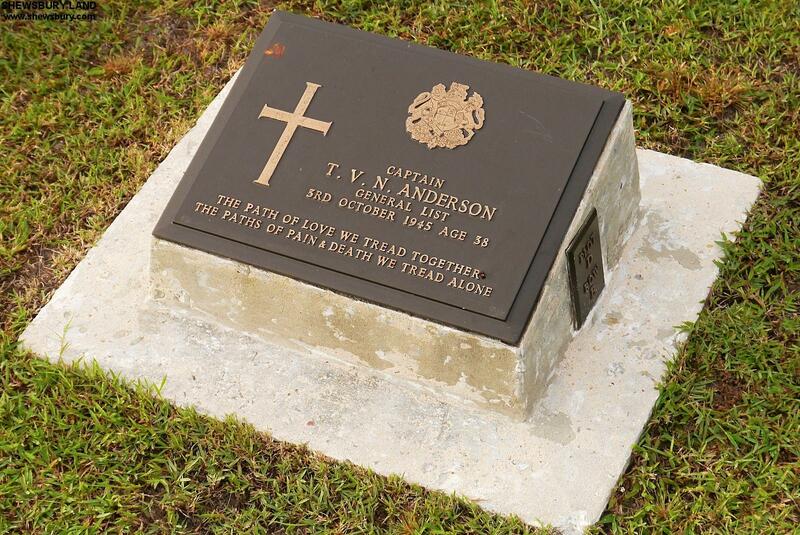 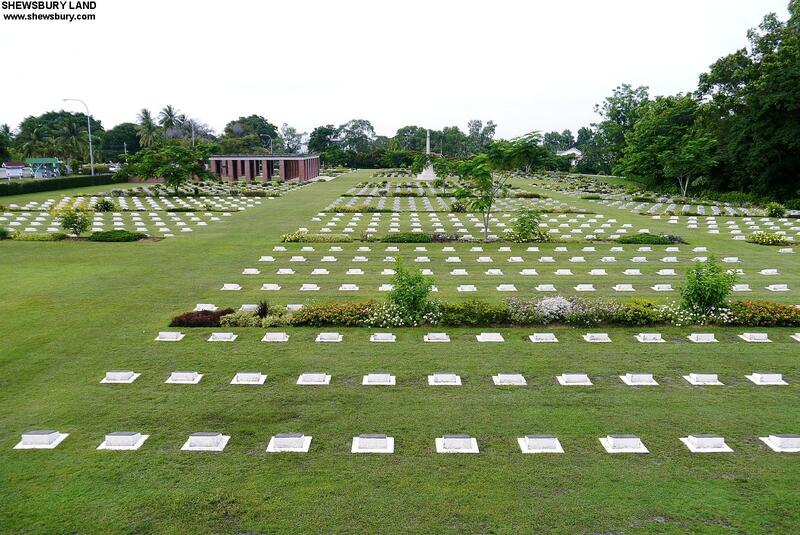 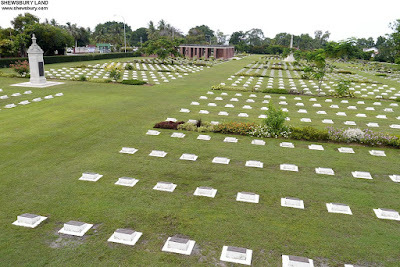 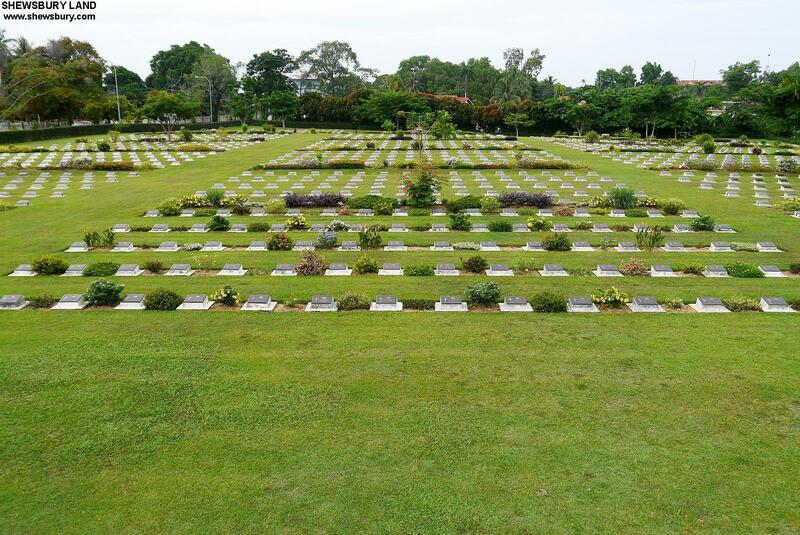 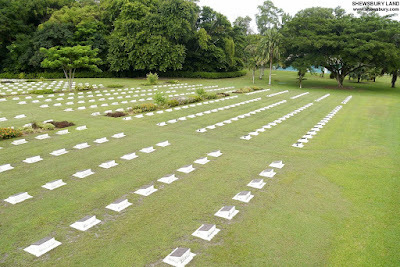 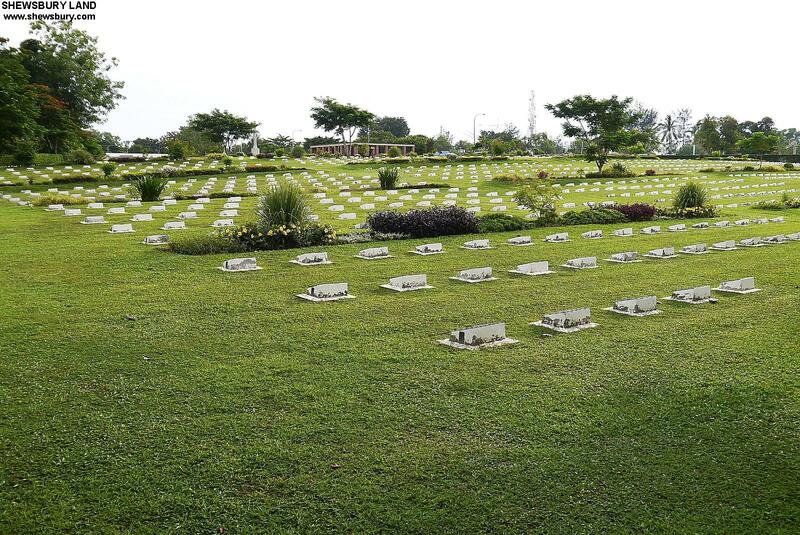 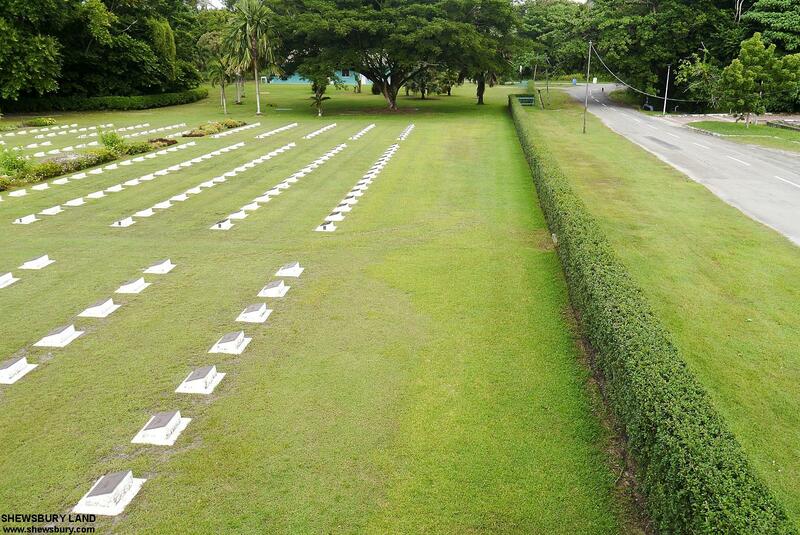 The Sandakan graves, numbering 2,700 of which more than half were unnamed, were therefore transferred to Labuan War Cemetery, specially constructed to receive graves from all over Borneo. 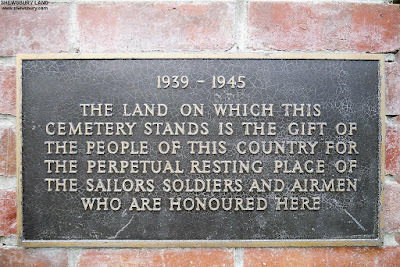 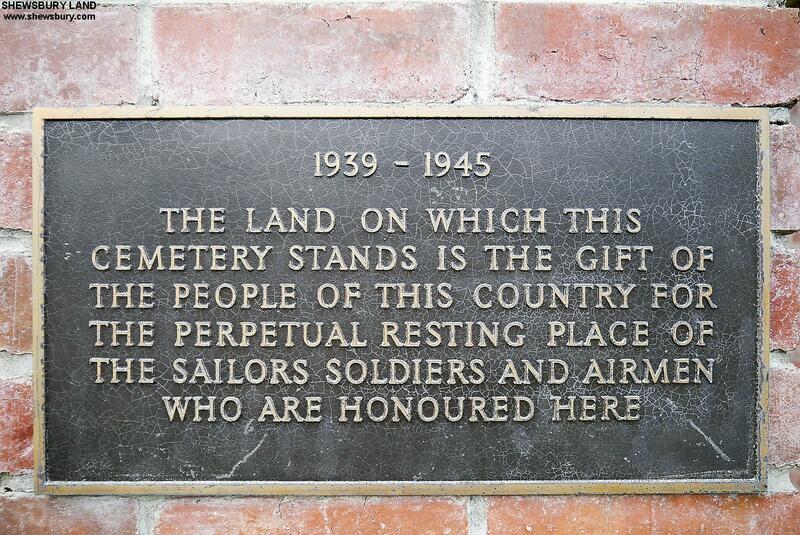 As well as the graves from Sandakan, about 500 are from Kuching where there was another large prisoner-of-war camp. 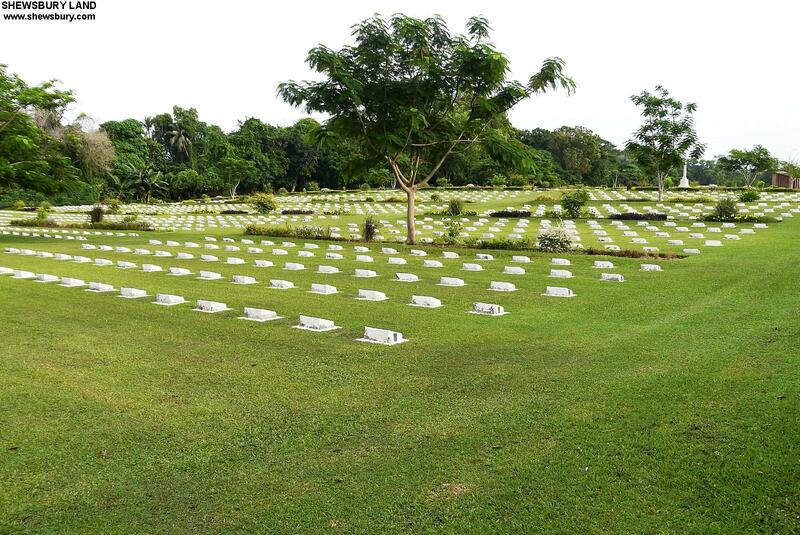 The total number of burials is 3,922. 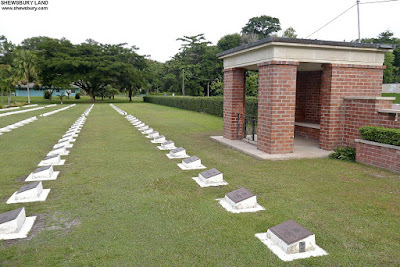 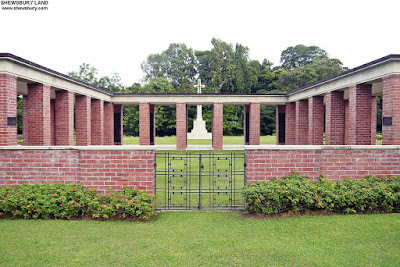 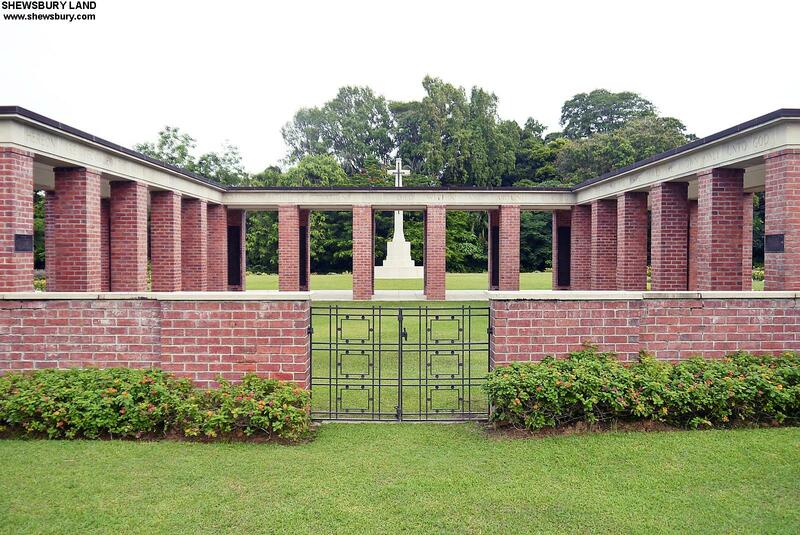 The preponderance of unidentified graves is due to the destruction of all the records of the camps by Lieutenant-Colonel Suga, the Japanese commandant, before the Australians reached Kuching, his headquarters. 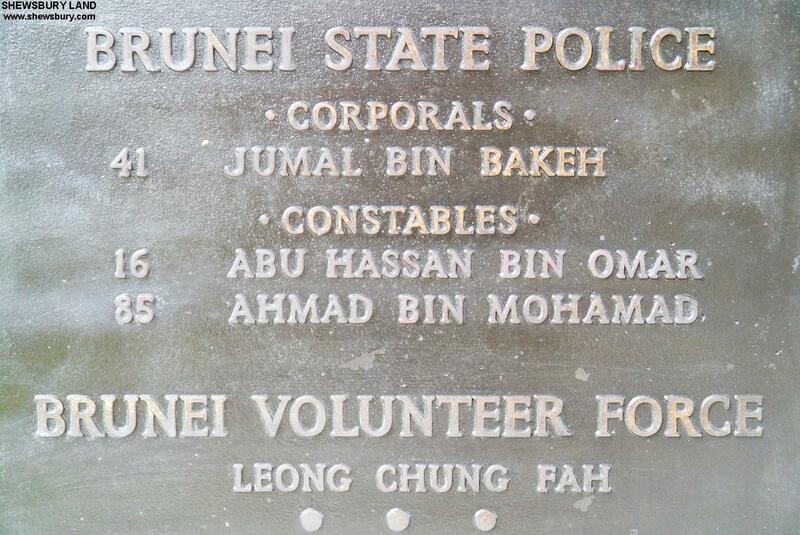 When apprehended, this man committed suicide rather than face questioning on his conduct of the Borneo Camps. "HERE ON THIS GROUND RECORDED THE NAMES OF OFFICERS AND MEN OF THE BRITISH COMMONWEALTH OF NATIONS WHO DIED WITHIN AND AROUND BORNEO DURING THE 1939-1945 WAR AND WHOSE GRAVES ARE KNOWN ONLY UNTO GOD"
That's the wording stated at the top of that brick buildings. 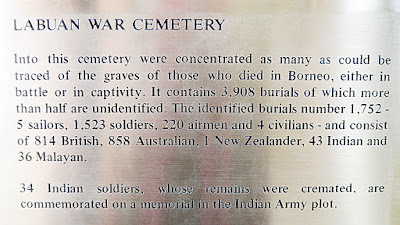 And then there is this historical information board where you can spend some time reading more about the World War 2 history related to this cemetery. 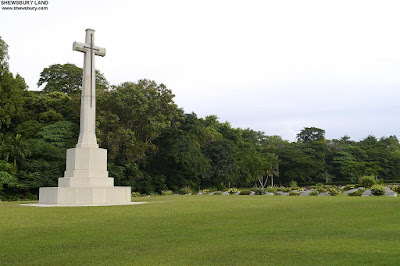 This is the "Sacrifice Cross" and is the tallest and probably the most prominent structure visible from far away around this cemetery. 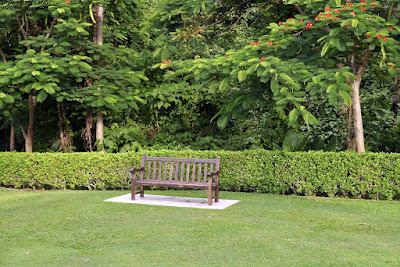 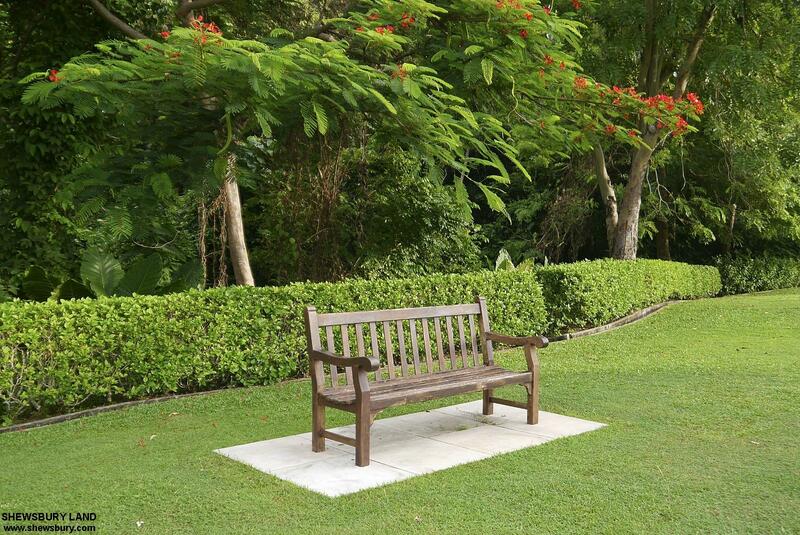 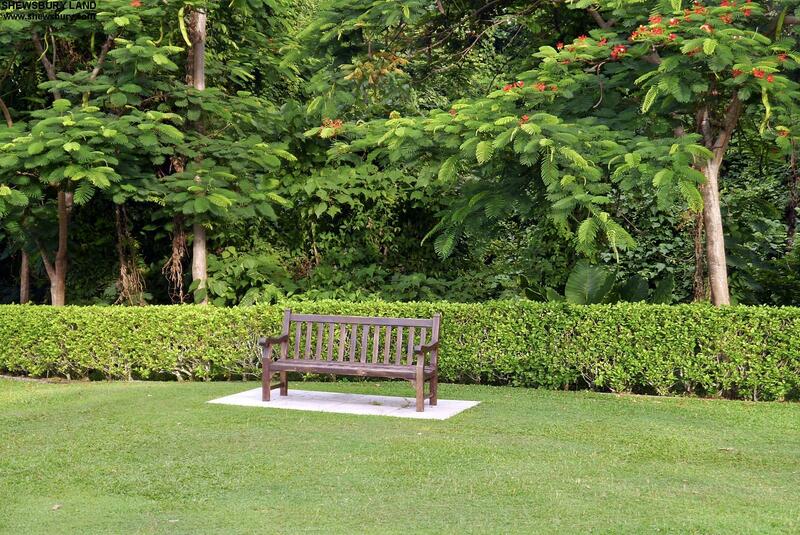 This garden bench, as simple as it is, I feel fascinated with it, I don't know why, it looks so good and nice to be there. 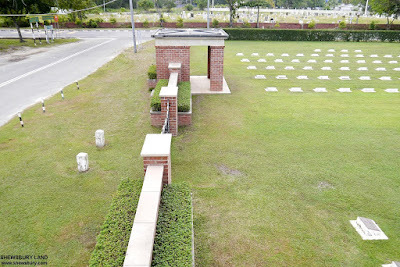 There are 2 units of them available at this cemetery, this one on the South West part and the other is on the North West part of the cemetery. 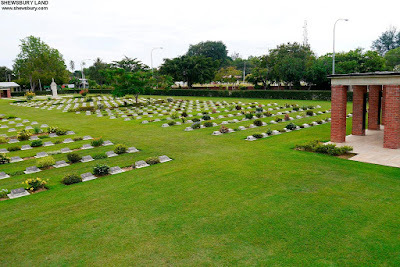 Overall, this cemetery and memorial is a very nice place to visit and certainly worth it's billing as one of the most popular tourist attraction in Labuan (Victoria), Malaysia. Congratulations, full praise and credits to the Commonwealth War Grave Commission and their dedicated staff for their hard work in maintaining this cemetery and keep it to be beautiful and clean all the time as it is now. 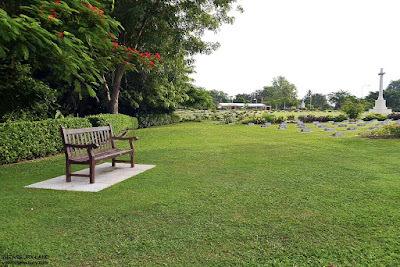 It's calm and peaceful to be here and the scenery is quite interesting as well, the best part, there is no admittance or entrance fee, it's completely free so you can always come here as often as you want. 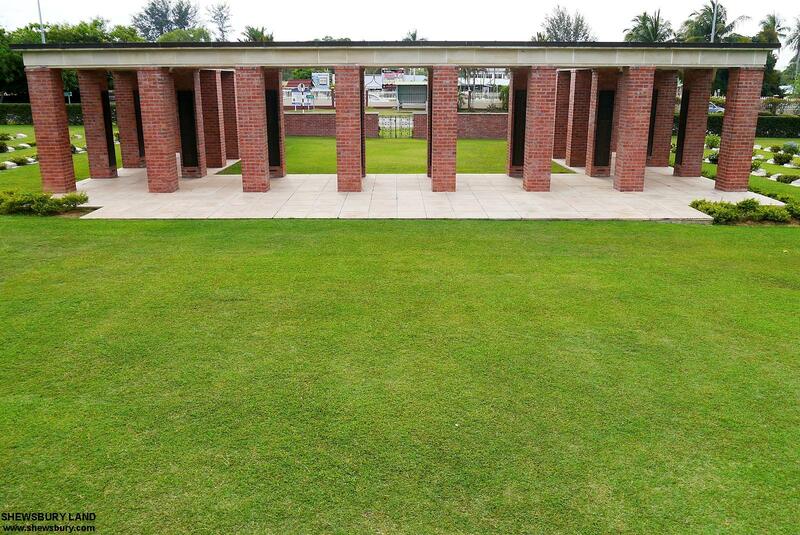 We hope this cemetery and memorial ground can remain as it is for many more centuries to come so that the future generations can appreciate and enjoy this beauty of this sanctuary. 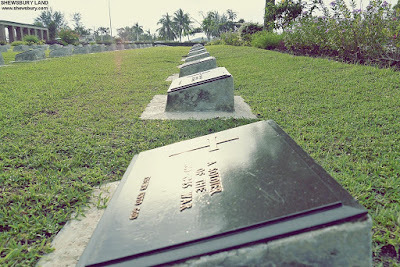 I've seen some other World War 2 related memorial within the island, managed by the local government and apparently they have done some changes and erected new modern structures around it and end up disturbing the originality of the memorial area so let's hope the same wont happen to this cemetery.